Creating a niche of Industrial Ceramic Fiber Woven Cloth such as Ceramic Fiber Woven Fabrics and Ceramic Fiber Cloth at its best, with utmost quality. We are offering Ceramic Fibre Woven Fabrics Cloth that is manufactured using quality raw materials and can be used for high temperature applications up to 2300 F. The cloth, reinforced with fiberglass filament and optional Inconel/alloy steel wire, finds applications in expansion joints, safety blankets, curtains, welding blankets, protective and insulating covers, and for shields, gaskets, cable or pipe wrapping. 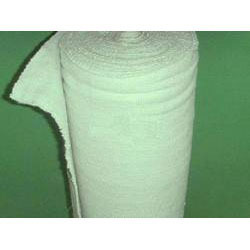 The ceramic fiber woven cloth is used in industries for applications, such as sealing, caulking and heat insulating material on heat conducting systems and on thermal installations. 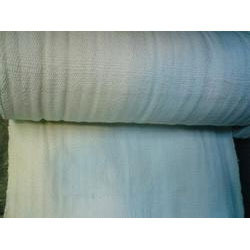 We are the leading manufacturer, supplier and importer of Ceramic Fiber Cloth For Safety Blankets. Ceramic Fiber Woven Fabrics cloth contain a certain amount of binder material which is normally burned at lower temperature and does not affect the insulation property. Ceramic Cloth is a woven fabric made from our high quality alumina silica fiber and especially mechanically needled for increased tensile strength and surface integrity in form of ceramic fiber yarn. It can be used for high temperature applications up to 2300 F. The cloth is reinforced with fiberglass filament, and optional Inconel/alloy steel wire. Ceramic fiber textiles (cloth, tape and rope) contain a certain amount of binder material which is normally burned at lower temperature and does not affect the insulation property. 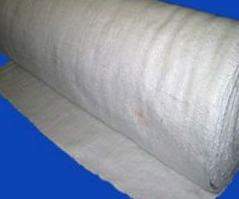 Ceramic Fiber Cloth has been widely used in welding, foundry works, aluminum and steel mills, boiler insulation and seal, shipyards, refineries, power plants and chemical plants. Recommended Working. Packaging Details: Sizes: 1.5 mm, 3 mm, 5 mm, 6 mm in width of 40" in 30 meter roll form. We are the leading manufacturer, supplier and importer of Flame Retardant Clothing. Our company specializes in offering qualitative range of Flame Retardant Clothing. 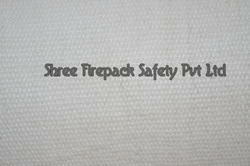 Shree firepack safety pvt ltd specializes in offering qualitative range of Flame Retardant Clothing.Also our range of product include like yarn, ropes,cloth,webbing tapes,fire blanket,aprons,suits,welding blanket,coated & uncoated fabrics made of asbestos,non asbestos material like glass fiber,cermaic fiber & silica.